Much attention has been focused on a House-Senate conference committee’s efforts to find ways to finance an extension of the current payroll tax break and to prevent a 27 percent cut in Medicare payments to physicians. But the nursing home industry is also facing some stiff funding reductions, and an industry trade group has come up with a proposal to help Congress cut Medicare spending while shielding nursing homes. A proposal from the American Health Care Association, which represents skilled nursing facilities, has offered lawmakers a plan the group believes will help cut the readmission rate for nursing home patients to the hospital. That, the association says, would save Medicare money. Nursing homes would prefer their ideas over another money-saving provision in the payroll tax extension/Medicare “doc fix” legislation passed last year by the House. That bill would reduce Medicare’s reimbursement to cover “bad debt” incurred by skilled nursing facilities, hospitals and other providers from 70 percent to 55 percent by 2015. The Senate did not adopt that House plan, but the issue is again before Congress as lawmakers seek to find a way to pay for the Medicare “doc fix” and the payroll tax holiday. A conference committee dealing with the issue has scheduled another session for Wednesday. For skilled nursing facilities in 19 states and the District of Columbia, the cut proposed by the House would be worse that the 2 percent Medicare provider cut called for in sequestration, a series of automatic cuts scheduled to begin in 2013, the association says. The nursing homes’ proposal would have the secretary of Health and Human Services establish a baseline for the skilled nursing facilities’ 30-day readmission rate and determine how much those readmissions cost Medicare. Then HHS would set a targeted readmission reduction goal for the skilled nursing homes necessary to achieve $2 billion in savings from 2014 to 2021. If the target is not achieved, then nursing facilities’ “market basket updates,” or pay increases from Medicare, would be cut to make up for the shortfall. If the skilled nursing facilities meet the $2 billion target, then nursing homes and taxpayers would share in the additional savings. 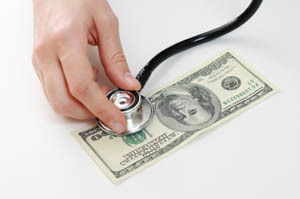 The industry is still reeling from an 11 percent Medicare payment reduction that went into effect last Oct. 1. The payment change, which the Centers for Medicare and Medicaid Services said would fix an “unintended spike in payment levels and better align Medicare payments with costs,” is separate from any cuts the industry would face in sequestration. Skilled nursing facilities fought unsuccessfully to have the payment change phased in gradually rather than immediately.